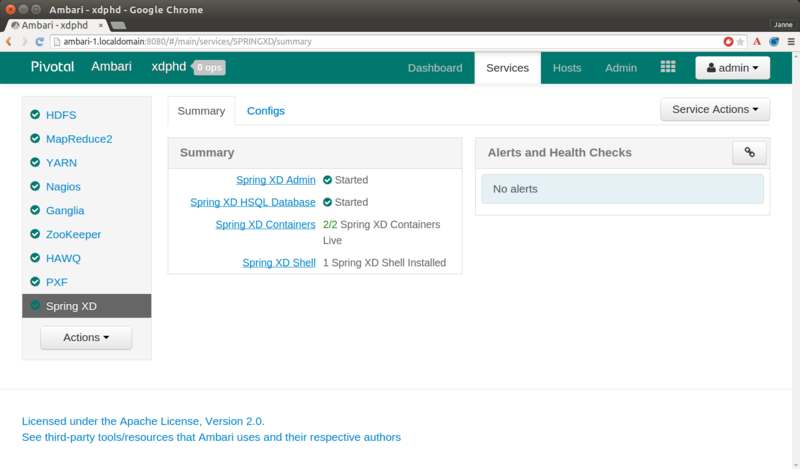 We’re pleased to announce the first version of the Apache Ambari plugin for Spring XD. Ambari is a cluster provisioning tool to install and manage various Apache projects like HDFS, YARN, Zookeeper or Kafka. Ambari has a concept of a stack definition which is used by both Pivotal and Hortonworks. The stack definition is usually made up of components supported by the maintainer. 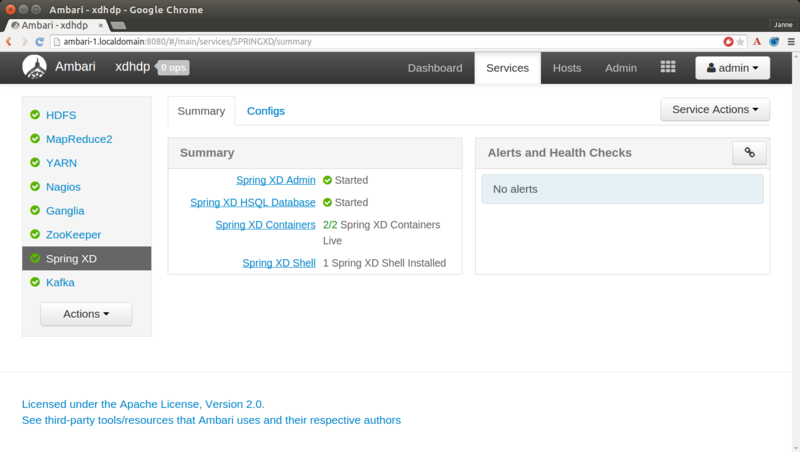 This Ambari integration adds support for provisioning Spring XD with Pivotal HD 3.0 and Hortonworks HDP 2.2. Spring XD is not part of the main Ambari distribution for PHD or HDP. However, it is easy to extend an existing Ambari installation via a simple RPM installation which modifies existing stack definitions. We’ve prepared installation instructions in our repo Github spring-xd-ambari together with the source code for this plugin. After cluster provisioning has been completed successfully, it is easy to connect to a running Spring XD cluster from the XD shell. A command script /etc/springxd/conf/xd-shell.init is created automatically with correct settings that you can load into the XD shell. Writing into HDFS works out of the box.